A wreath on your front door is the perfect welcoming touch to add to your home. With a little DIY ingenuity, you can make one for every holiday! 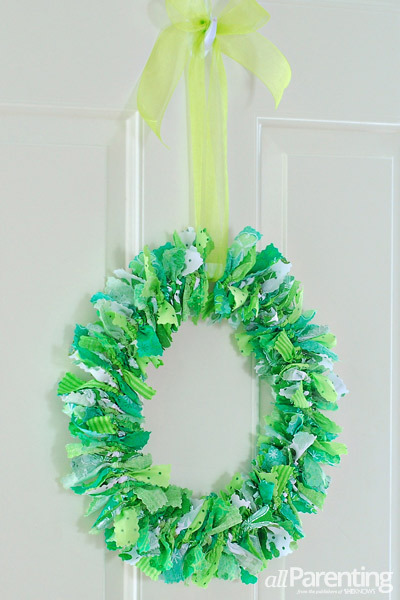 This quick and easy rag wreath DIY is the perfect way to get your home ready for St. Patrick’s Day. Wreaths are such a fun and festive way to decorate. 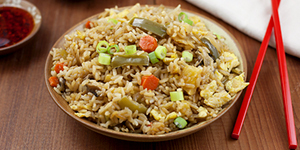 They are so versatile that they can be adapted to work for any holiday you can think of. 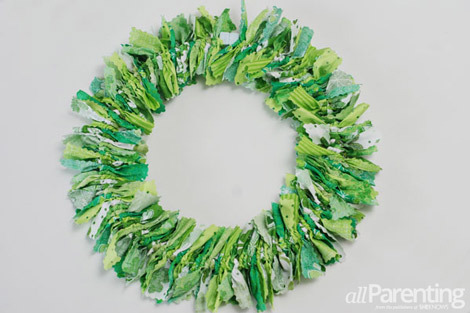 This easy rag wreath project is a great way to liven up your home for St. Patrick's Day. 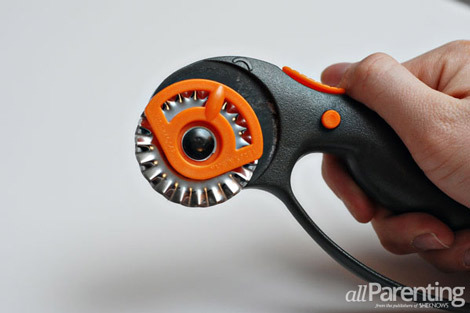 Load your rotary cutter with the pinking blade. If you don't have a rotary cutter or pinking blade, you can use pinking shears as an alternative. The pinked edges will help to keep the fabric from fraying. 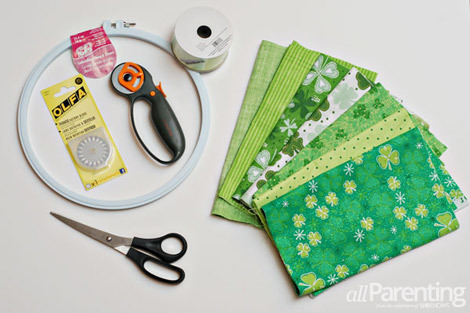 Lay your fabric out and use the rotary cutter to cut strips from the fabric. 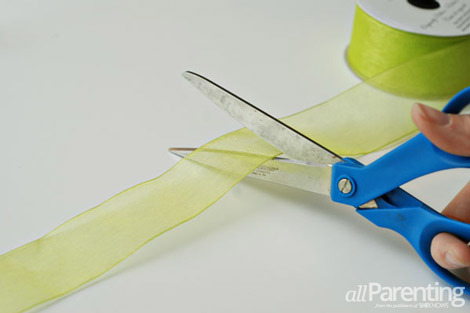 Cut the strips so that they are approximately 1-inch wide and 6-inches long. 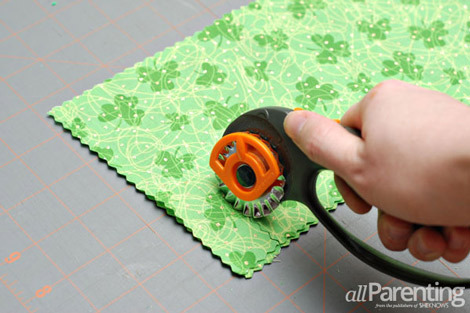 If you use a rotary cutter you can cut through multiple layers of fabric at the same time to make the project go even faster! Keep cutting strips until you have cut out all of your fabric. I used 150 strips to make my wreath on a 10-inch embroidery hoop. 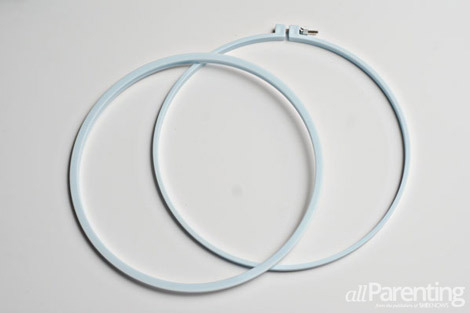 You may need more or less depending on the size of your hoop. 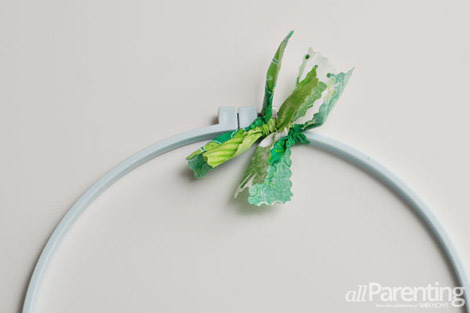 Remove the center hoop from the embroidery hoop and discard it or save it for a second wreath. Tighten the screw at the top of the embroidery hoop so that the hoop is closed at the top. Start tying the fabric strips around the embroidery hoop. You only need a single knot, but tie it tight. 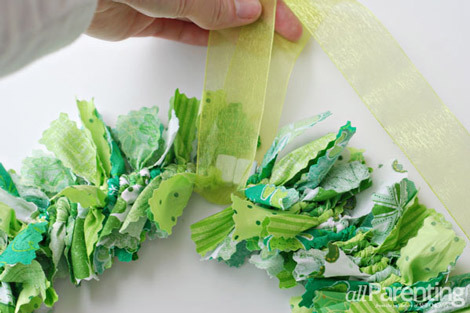 Turn the fabric so that the knot is facing the front of the wreath. 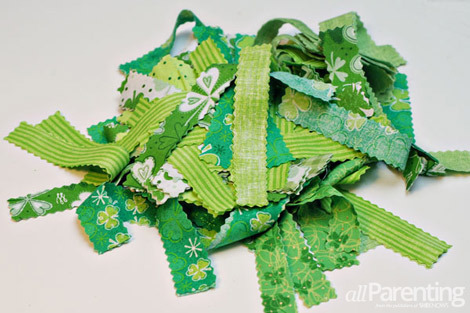 Keep adding fabric strips, alternating types of fabric, and slide them as close together as possible. 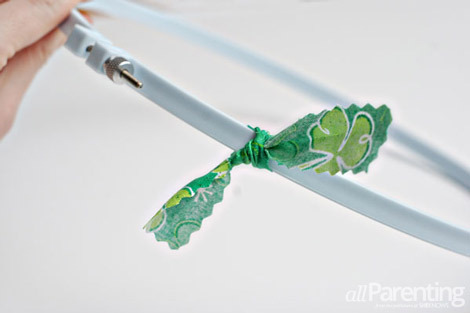 Keep tying on fabric strips until you have filled the entire embroidery hoop. 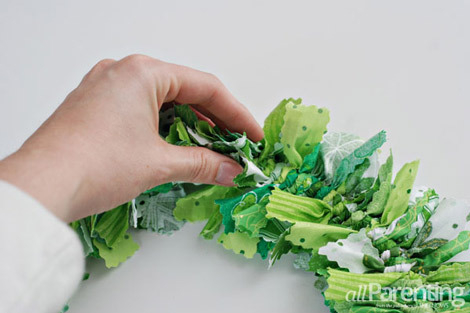 Go around the wreath and fluff all of the fabric strips. Cut approximately 2-feet of ribbon from the spool. Loop the ribbon around the top of the embroidery hoop. Then, tie a bow in the ribbon to hang the wreath. 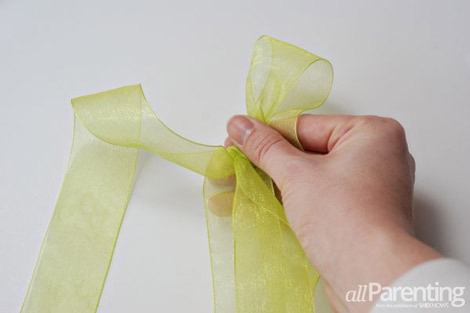 Trim off any excess ribbon from the bow.